Last Wednesday (16 Jan) I was a guest on De Wereld Leert Door (The World Keeps Learning) a new popular science tv show with Matthijs van Nieuwkerk. The real thing after test-taping. 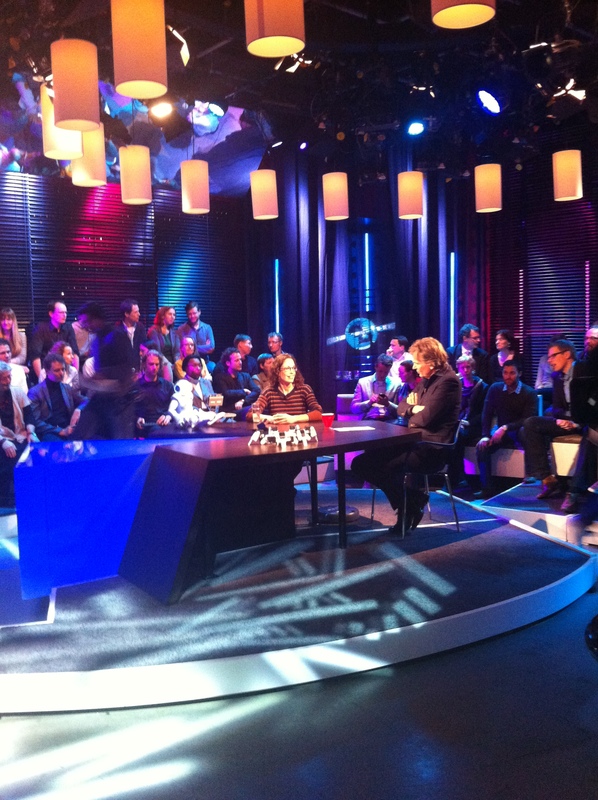 Yesterday, I was in the test-taping of a new science show in the Netherlands. Edwin Dertien and Dennis Reidsma were also there and we showed cute social robots and talked about the need for sociable robotic technology.